and MG Joseph Caravalho Jr. The burden of injury among U.S. service personnel during the wars in Afghanistan and Iraq confirmed the benefit of requirements-driven medical research aimed at reducing combat-related mortality and improving survival. While elements of trauma research existed before these wars, they were small, service-focused and not fully coordinated. The wars also exposed the often overlooked fact that, unlike research in the areas of cancer, cardiovascular disease and behavioral health, the nation has no federal institutes or private foundations dedicated to funding trauma research. The sacrifices of our men and women in uniform have re-emphasized the lesson that combat casualty care research is a military-specific imperative; there is no safety net in this endeavor. With this in mind, the U.S. 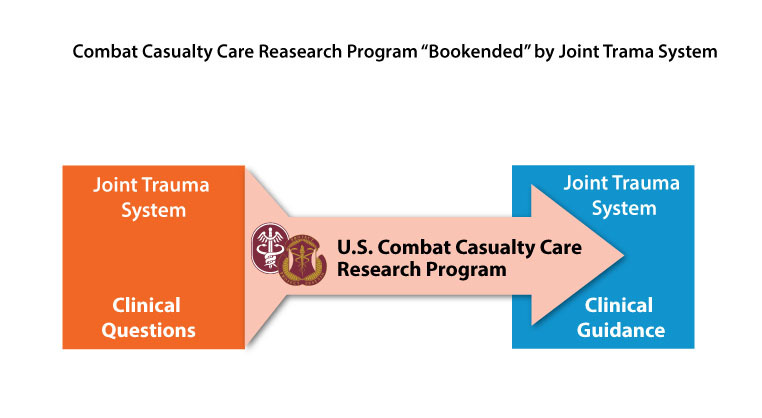 Combat Casualty Care Research Program (CCCRP) is charged with driving innovation in trauma care to support Force 2025 and Beyond. Central to this effort is a reappraisal of the time between injury and life-­sustaining medical treatment—known as the “golden hour” standard. In the past, the end of the golden hour was marked by the time a patient arrived at a fixed facility or traditional echelon of care. Now that advanced resuscitative capability can be pushed closer to the point of injury, regardless of setting or location, we must redefine the golden hour end point. The CCCRP guides the nation’s rejuvenated investment in requirements-driven military trauma research. The program, co-located at Fort Detrick, MD, and the Defense Health Headquarters, Falls Church, VA, plans, programs, budgets and oversees the execution of approximately $300 million in requirements-driven research aimed at producing knowledge and materiel solutions for the full spectrum of military trauma care, including at the point of injury, en route in rotary and fixed-wing transport, and in Level II through Level V facilities. The CCCRP’s primary task is the oversight and management of science and technology elements of funding. However, its staff and processes are integral to the life cycle of research, including the advanced development and acquisition of knowledge and materiel and their relevant implementation in the practice of combat casualty care. The mission of the CCCRP is to produce solutions that improve survival and recovery from combat-related injury, and thereby empower and sustain the fighting force. The program staff resides within the Research Area Directorate – 2 (RAD-2) of the U.S. Army Medical Research and Materiel Command (USAMRMC) and the Research, Development and Acquisition Directorate of the Defense Health Agency (DHA). In this construct, the CCCRP guides and advises the investment of core Army appropriations and Defense Health Program (DHP) research, development, test and evaluation (RDT&E) dollars. Research takes place at two of ­USAMRMC’s subordinate laboratories—the U.S. Army Institute of Surgical Research at Joint Base San Antonio, TX, and the Walter Reed Army Institute of Research in Silver Spring, MD—and at civilian academic institutions and medical centers across the country, which conduct most of the work funded by the DHP. The CCCRP’s blended Army RAD-2 and DHA staff is positioned to maximize coordination of effort among the Army, Navy and Air Force and to create synergy among the different contributors to the medical RDT&E investment. Through active program management, the CCCRP also aims to leverage trauma-related research dollars stemming from congressional special interest programs to maximize the Army and DHA investment. 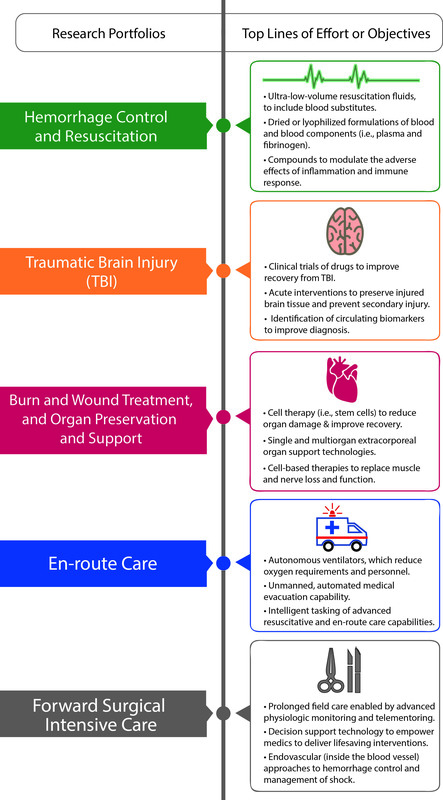 This multifaceted funding supports the advancement of groundbreaking trauma research through a requirements-driven, coordinated program structure. 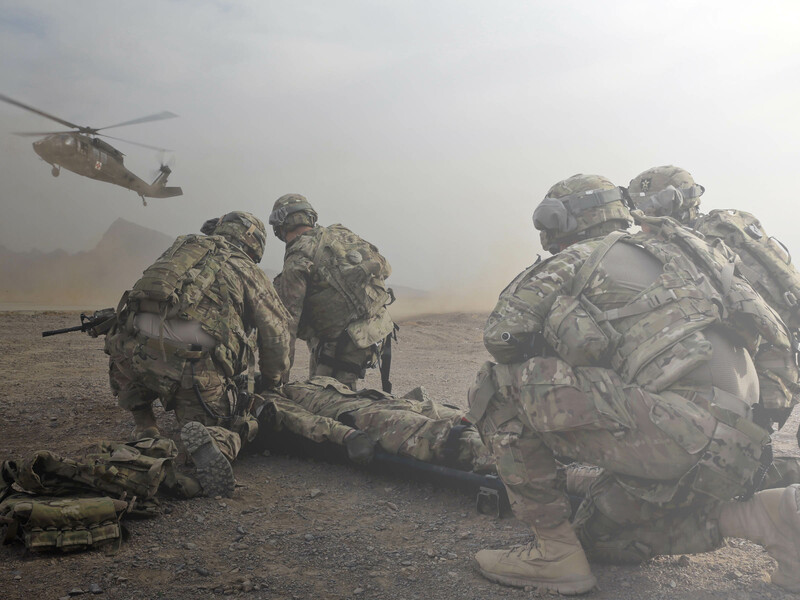 The effectiveness of the nation’s investment in combat casualty care research is evident in the 50 percent decline in case fatality rates among U.S. service personnel in Afghanistan between 2005 and 2013. 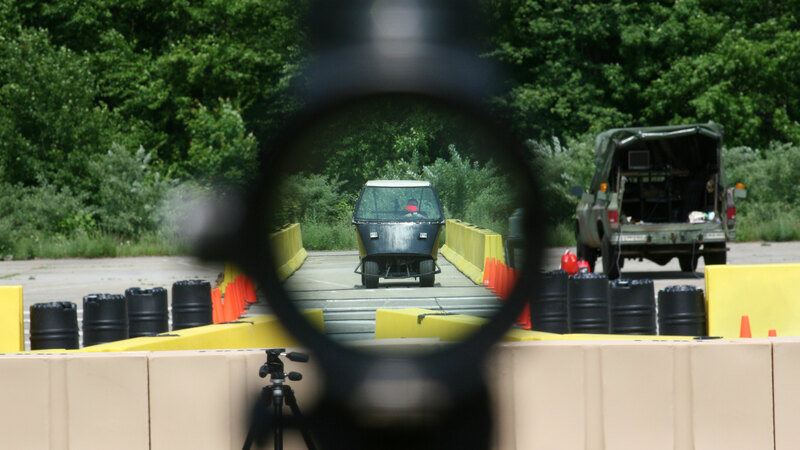 Evidence also exists that the research funded by the CCCRP has been effective in narrowing gaps established by DOD’s 2008 Guidance for the Development of the Force, meeting the high-level strategic goals of the military. Additionally, the impact is expanding beyond the military, as lifesaving advances in trauma care increasingly are being translated to the civilian setting, benefiting trauma patients across the country. These successes have been made possible by integrating the CCCRP with its user communities, chief among them the U.S. Joint Trauma System (JTS). The JTS is DOD’s “go-to” entity for coordinating and optimizing trauma care in the operational environment. Formalized as a Defense Center of Excellence, the JTS also maintains the DOD Trauma Registry, the largest repository of combat injury and injury management information in history. In this capacity, JTS and the processes it supports generate many of the clinical questions or requirements that need answers from research, and document the efficacy of innovations in care. Conceptually, experts have referred to the JTS as “bookends” holding up either side of the medical research program. On one side is the JTS’ ability to identify and feed relevant gaps in treatment into the research program, which then endeavors to provide knowledge and materiel solutions to resolve those gaps. The other is JTS’ ability to receive, vet and integrate outcomes from the research program, be they knowledge or materiel solutions. The result has been that JTS has established, and now maintains, more than 30 evidence-based clinical practice guidelines. The relationship between CCCRP and JTS is an important construct and a lesson from the wars. The requirements-driven RDT&E program bridges the chasm that otherwise would exist between the bookends of clinical questions or needs on one side, and evidence- and materiel-enabled clinical practice on the other. The swift translation of evidence from this sizable research program through JTS to the battlefield represents a first in military history. A limited number of troops executing counterinsurgency operations in remote locations. Large, conventional troop formations conducting operations in a Pacific theater. 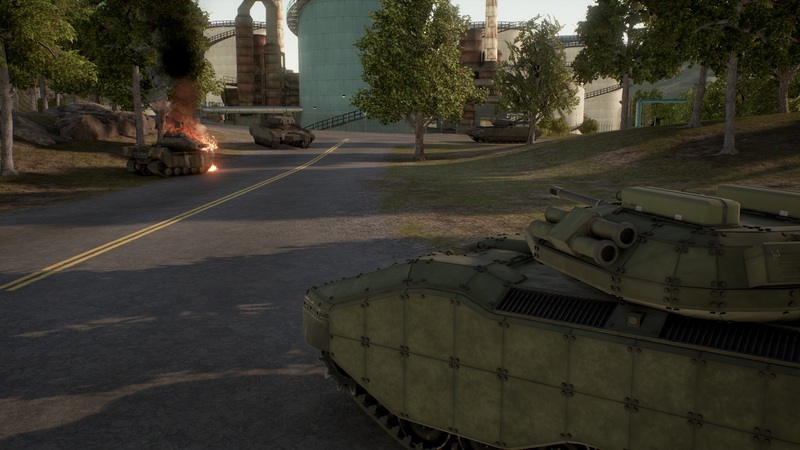 Troops deployed and conducting combat operations in large urban areas (i.e., mega-cities). Looking ahead to potential scenarios, CCCRP must ensure that medical innovation rises to the challenge by providing flexibility to combatant commanders regardless of operational complexities—for example, anti-access and area denial, prolonged field care, long-distance medical evacuation or large volumes of casualties. In this effort, the program must be willing to turn the doctrine of fixed or traditional echelons of care on its side and innovate for scenarios in which Level II and III care is performed aboard transport vehicles (land-, air- or sea-based) or within local structures of opportunity. In such circumstances, field care may be prolonged, lasting for days or even weeks. Combat casualty care research with these complex scenarios in mind promises to enhance resuscitative capability for injured service personnel regardless of environment, leveraging communications networks (i.e., telementoring) and targeted resupplies of materials. In the future, CCCRP must focus on transforming the concept of the golden hour into one bound not by the time to reach traditional echelons of care or fixed facilities, but the time until enhanced resuscitative capability can be delivered to the injured troop, regardless of location or need for transport. Within CCCRP are five portfolios with lines of effort that aim to drive medical innovation. In these, the program works to provide solutions to transform the golden hour and improve survival, lessen the medical logistical requirement and afford agility to the future joint force. The medical RDT&E planned in these portfolios is aimed at re-establishing and sustaining optimal physiology, regardless of the location of care. The resulting solutions aim to provide continuous resuscitative, intensive, definitive and recovery care that is mindful of, but not constrained by, complexities of the operational environment. Military trauma research, development and acquisition play a vital role in responding to the unique needs of injured U.S. service personnel in current and future combat scenarios. They empower and sustain the fighting force and improve the flexibility of combatant commanders while augmenting national security. The CCCRP’s uniquely “top-down,” requirements-driven medical research is recognized nationally as an effective alternative to other federal entities that fund investigator-initiated research without specific urgency. CCCRP is essential, as no other entity—federal or private—funds trauma research. 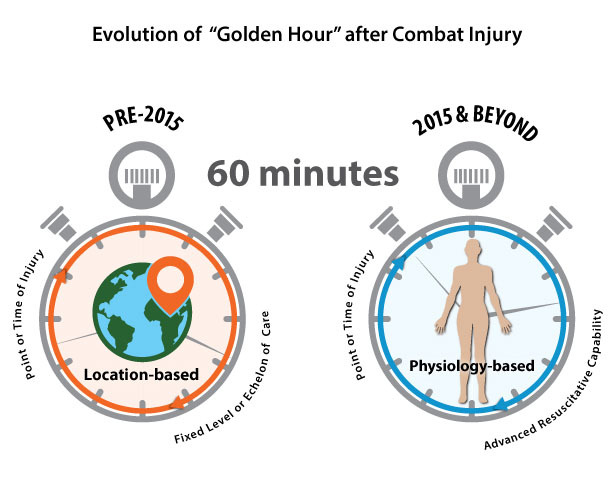 As the program sets its eyes on 2025 and beyond, including reappraisal of the golden hour, its efforts will continue to be patient- and physiology-focused, aimed at developing solutions to meet warfighters’ needs and enable an agile joint force in future combat missions. “Where do we go from here?”—Journal of Trauma and Acute Care Surgery (http://journals.lww.com/jtrauma/), Vol. 75, Issue 2. “Military trauma system in Afghanistan: lessons for civil systems?”—Current Opinion in Critical Care (http://journals.lww.com/co-criticalcare/), Vol. 19, Issue 6. “Implications of combat casualty care for mass casualty events”—The Journal of the American Medical Association (http://jama.jamanetwork.com/), Vol. 310, No. 5. JTS & CCAT [critical care air transport] Clinical Practice Guidelines, http://www.usaisr.amedd.army.mil/­clinical_practice_guidelines.html. COL TODD E. RASMUSSEN (USAF) is director of the CCCRP, Fort Detrick, MD. He has an M.D. from Mayo Medical School and a B.S. in pharmacy and premedical studies from the University of Kansas. He has American Board of Surgery certification in general surgery and vascular surgery. He served as deputy commander of the U.S. Army Institute of Surgical Research (USAISR) from 2010 to 2013. DR. DAVID G. BAER is deputy director of CCCRP. He holds a Ph.D. in genetics and molecular biology from the University of Hawaii and a B.S. in biology from Trinity University. His previous assignments include active-duty Army service as a research scientist at USAISR, where his work focused on improving treatment for combat-injured Soldiers. He is Level III certified in science and technology management and is a member of the Army Acquisition Corps. RADM BRUCE A. DOLL is deputy commander of USAMRMC, Fort Detrick, MD, and director of the Research, Development and Acquisition Directorate of the DHA, Falls Church, VA. He has a D.D.S. degree from the State University of New York at Buffalo School of Dentistry, an executive MBA from the Naval Postgraduate School and an undergraduate degree from Colgate University. He is a diplomate of the American Board of Periodontology. MG JOSEPH CARAVALHO JR. is the deputy surgeon general and deputy commanding general of the U.S. Army Medical Command, Washington, DC. He has a Master of Strategic Studies from the U.S. Army War College, an M.D. from the Uniformed Services University of the Health Sciences School of Medicine and a B.A. in mathematics from Gonzaga University. He holds current certification in nuclear cardiology. Before assuming his current role, he served as commanding general of USAMRMC. This article was originally published in the January – March 2015 issue of Army AL&T magazine. Subscribe to Access AL&T is the premier online news source for the Acquisition, Logistics, and Technology (AL&T) Workforce.